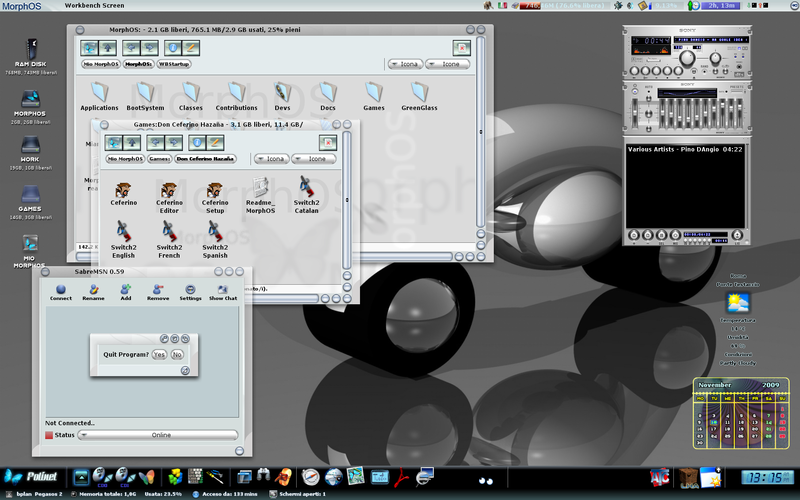 Mossie skins are three skins realised during MorphOS 2.4 release. I created a thick transparent theme and used in all three skins changing colours for all flavour. So we have blue, gray and black skin. Every skin has its personal set of buttons and MUI prefs. 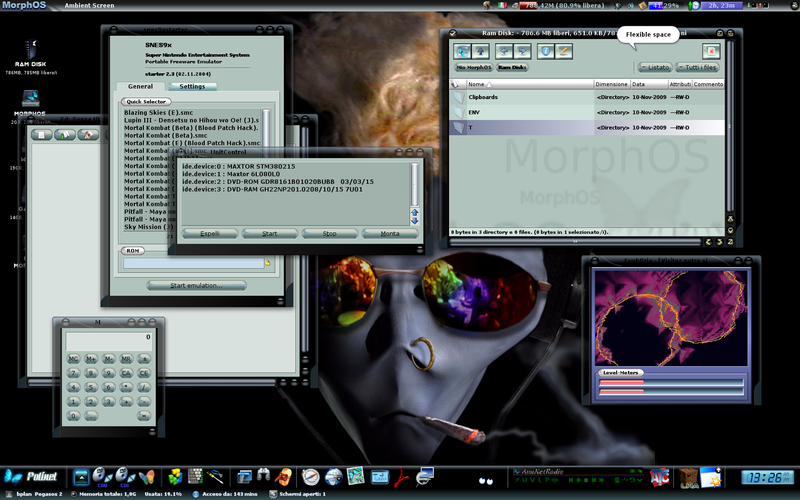 You can also find a Wallpapers directory with three background reproducing Apple-MorphOS butterfly logos (2.4 was the first MorphOS release even usable on Mac mini), plus a Windows Background folder with different flavours backgrounds.